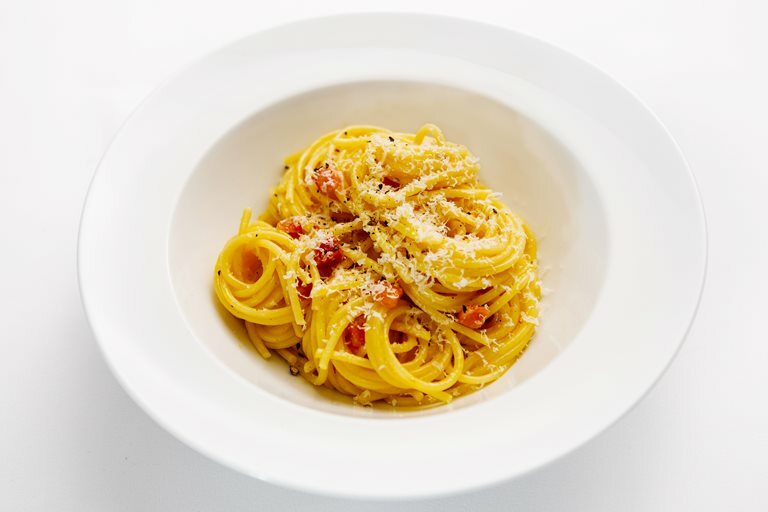 This simple, yet oh-so-luxurious, spaghetti alla carbonara recipe is always welcomed and makes a reassuring starter for any dinner party. The quantities given in Bryan Webb's recipe are starter-sized, but will serve three people as a main course. Plan carefully if making more dishes – this pasta recipe comes together quickly but it’s important that the hot drained pasta goes straight into the pan of bacon and is followed quickly by the creamy yolk mixture, as that needs to cook briefly in the residual heat.